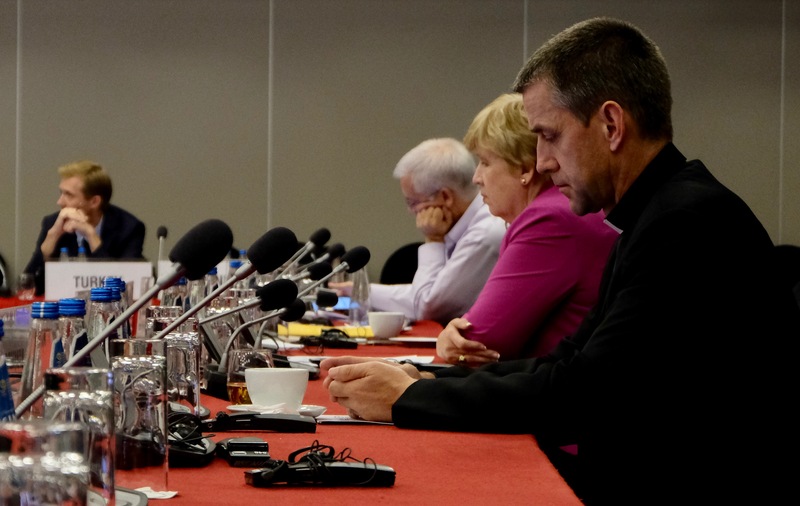 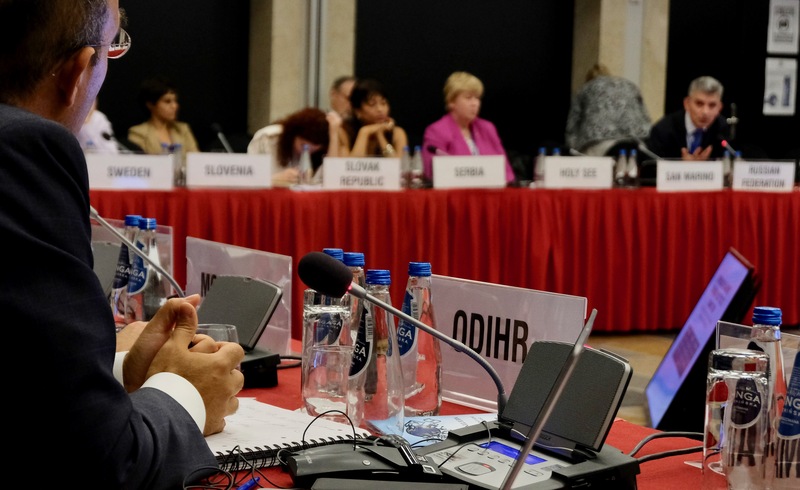 This policy report presentation, ‘Interreligious engagement strategies: A policy tool to advance FoRB’, during the 2018 Human Dimension Implementation Meeting in Warsaw was part of the multi-stakeholder consultation process in the context of the 2018 Italian OSCE Chairmanship aimed at co-producing innovative knowledge on interreligious engagement – dialogue and collaboration – as a policy tool to advance FoRB for all. 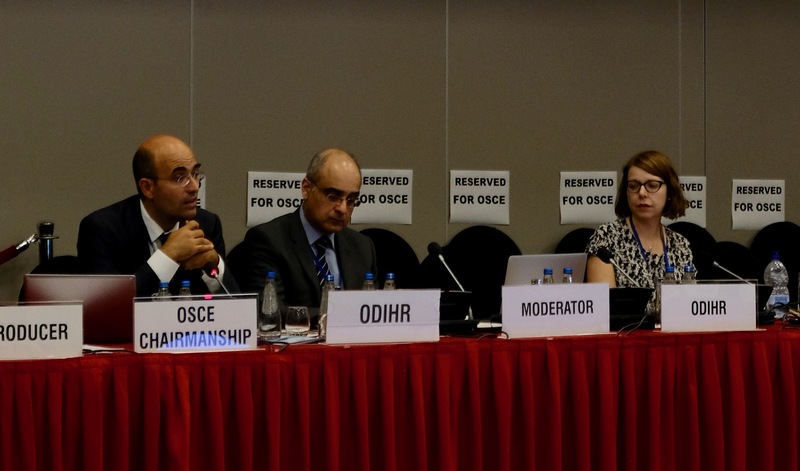 The side event was chaired by Dr. Kishan Manocha, Senior Advisor on Freedom of Religion and Belief, OSCE/ODIHR, alongside Dr. Fabio Petito, Director of Freedom of Religion or Belief and Foreign Policy Initiative, University of Sussex and Dr. Stephanie Berry, Senior Lecturer in International Human Rights Law, University of Sussex, who presented a policy report, in draft, with a view to receive feedback and improve the report that will be launched in the context of the OSCE next Ministerial Council in Milan on 6-7 December 2018. 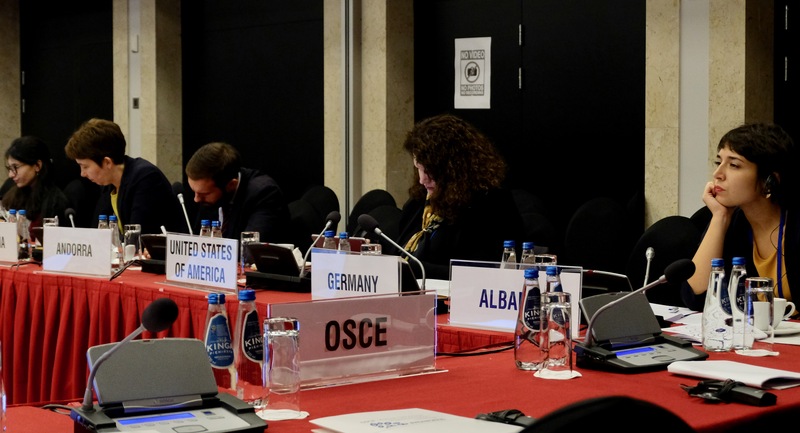 The presentation brought together attendees from around the world and valuable feedback was received from members of the United Kingdom and Italian Delegations to the OSCE, and the Holy See during the Q&A. 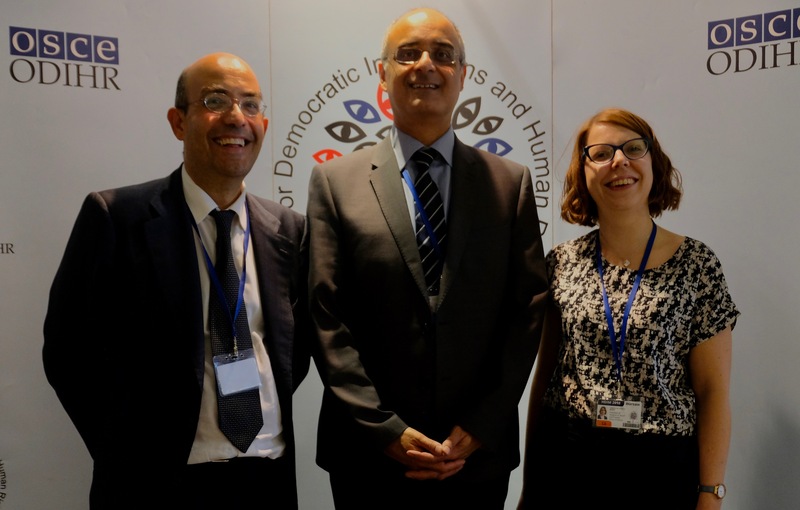 Prior to the side event, Dr. Petito met with Ambassador Luca Fratini, Deputy Permanent Representative, Mission of Italy to the OSCE, to discuss potential collaborations for the upcoming OSCE Ministerial Council in Milan.